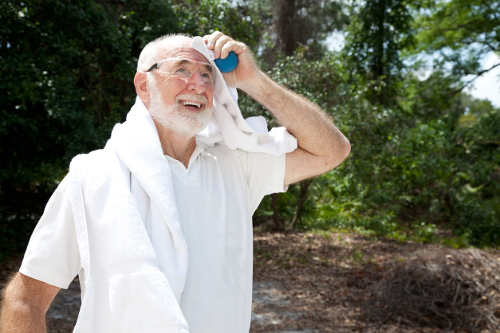 Do you have an unsightly brown patch of skin that becomes itchy when you sweat? It could be erythrasma, and it may hide in the folds of your skin. This skin infection can spread but is of no major concern as far as a health issue. We will tell you what to look for, how to treat it, and what causes erythrasma to better know how to prevent it from occurring. Erythrasma is known in medical terms as intertriginous skin. It is commonly found in the skin folds of the armpits, between the toes, groin, inner thighs, and behind the knees. The reddish, brown rash can also appear in the buttock crevice and under the breasts. Diabetic patients may have it across the body. Many times, it is mistaken for other skin conditions such as jock itch, ringworm, tinea versicolor, intertrigo, and inverse psoriasis. Medical tests can distinguish between these conditions, which we will discuss with other diagnostic tools. Corynebacterium minutissimum bacteria is the primary cause of erythrasma. This bacterium can first appear as pink patches before switching to a brown scaly patch of skin. The bacteria behind this infection is found mostly in tropical areas of the world where the climate is warm and humid. It thrives on the bodies of adults in warm, moist areas where the skin overlaps such as folds of the skin. What Are the Signs and Symptoms of Erythrasma? Since erythrasma can be mistaken for other skin infections such as jock itch, there are specialized tests to confirm a diagnosis. The medical professional may recognize the infection simply by a physical examination of the patch of skin but may want to perform further testing. The tests can include sending a sample of a scratching of the skin patch to a lab for testing, known as a Gram Stain test. The doctor may also recommend a skin biopsy, where a tissue sample is taken to detect any bacteria in the upper layer of the skin sample. A KOH test will detect if it is a fungal infection. A widely-used test is the use of a Wood lamp. This examination of the skin under the ultraviolet light of the Wood lamp will detect erythrasma by showing as bright coral red. If it is a fungal infection such as jock itch, the coloring will not change. Since erythrasma is a bacterial infection, your healthcare professional may recommend an antibiotic such as erythromycin or topical applications with clindamycin. Any severe sweating may be treated with prescribed ointment with salicylic acid, benzoic acid, or an ammonium chloride solution. Photodynamic therapy may also be used to eliminate the rash with red light treatment. For a home remedy, you may want to use antibacterial soap to wash the affected areas. It may treat any burning or itching sensations, as well as eliminate the sight of the rash with prolonged use. A pink and red patch of skin on your arms can be an annoying embarrassment, especially if it is accompanied by an itching sensation. Erythrasma is a harmless bacterial infection that sees the affected area turn to a tan or brown color with time. It may or may not present with symptoms. Erythrasma occurs in moist folds of the skin and those at high risk may be diabetic, obese, or live in tropical regions. There are topical medical treatments as well as a simple home remedy to use for eliminating the skin condition. You can prevent this skin infection with a few common lifestyle changes.